Thank you for visiting the Griff's Gang fundraising page! 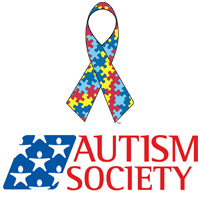 It is estimated that approximately 1.5 million individuals in the U.S. have autism. That's about 1 in 88 children. And our kiddo Griffin is one of them. Griff's Gang is made up of Griffin's friends and family who are committed to supporting families like ours. Families living with autism every day. We rely on resources like the Autism Society of Akron for invaluable support, education and more. However, these resources don't come cheap. They rely on the generosity of people like you. Please help support the wonderful organization! Donating through this website is simple, fast and totally secure. It's the most efficient way to support Griff's Gang's fundraising efforts. We also invite you to run/walk with us at the event on Saturday, June 16, at Firestone Stadium. Just look for the bright orange Griff's Gang shirts! Many thanks for your support -- and please forward this to others who may want to donate, too!